Pepsi suffered a social media backlash this week after the release of a controversial iPhone application. The app, designed to promote the release of a new energy drink, was condemned on micro-blogging site Twitter as "sexist" and "vile". The Amp Up application, which saw users attempt to 'date' a number of women, has been criticised for its negative stereotyping of women. "So is there only one type of man? A neanderthal who needs a cellphone app to talk to women? Here's a hint: put down the cellphone," said one user. "It would be nice to see a marketing campaign not completely dehumanizing women as a part of some asinine 'game' in order to promote deodorant or soda pop or body wash, but I guess there isn't an app for that yet." 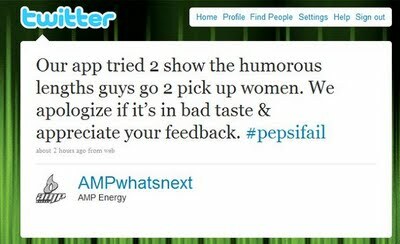 Pepsi responded to the criticism via Twitter, defending the application as "humorous". The company later withdrew the software from the Apple app store. The government aims to introduce strict measures against file-sharers in the coming year, it was revealed. The announcement was made in a speech by Lord Mandelson, the First Secretary of State. "People will receive two notifications and if it reaches the point [of cutting them off] they will have the opportunity to appeal." "I was shocked to learn that only one in 20 music tracks in the UK is downloaded legally. We cannot sit back and do nothing," he added. Google has added music tracks to its search listings. Users searching for specific songs, artists or lyrics will be presented with results directing them to sites where they can buy or listen to the material online. "Today, we're rolling out a search feature that does just that by enabling you to search and more easily discover millions of songs, all via a simple Google web search. If you're searching for music, "time to result" is really "time to music. "Now, when you enter a music-related query — like the name of a song, artist or album — your search results will include links to an audio preview of those songs provided by our music search partners MySpace or Lala." theEword got to grips with the latest digital venture from the Manchester Evening News this week as the regional publication launched an iPhone application. 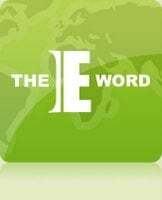 The new app allows users to keep in touch with the latest regional news, as well as read articles from the printed publication.